What is a mini/micro pig? Pottbelly pigs were the first small pigs to draw attention, but they had several drawbacks. First, they were 100 - 300 lbs. 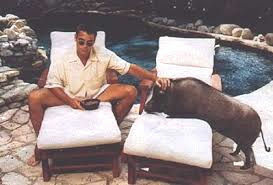 There was a lot of publicity to George Clooney's pig, Max. Cute, but he grew to be 300 lbs. People wanted something smaller. Dozens and dozens of breeders across the country worked on breeding smaller pigs for house pets. Mix that with hundreds of people who are trying to profit from "mini pigs" but who aren't really careful about what they are breeding and you get a situation where it's difficult to know what you are buying. The terms Juliana and American Mini Pig refer to registries which have been started by individual breeders but most mini pigs are not registered and mini pig breeds are not well defined. "TeaCup" pigs are cute, but they are simply babies. No pigs stay that small. 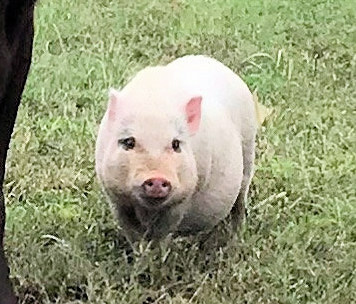 The best way to see if your pig will stay the size you want is to visit the breeder and see the parents, and preferably adult siblings from previous litters. The Göttingen minipig is a breed of small swine. The Göttingen minipig is the smallest domestic pig breed known in the world; as an adult, it weighs around 26 kg (57 lb). Beside being known for its exceptionally small size, the Göttigen minipig is known for its docile nature and very clean and well-characterized health status. 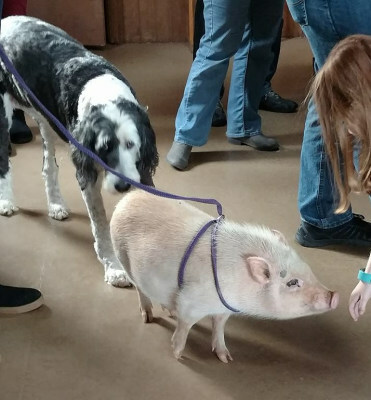 Development of this breed began in the late 1960s at the Institute of Animal Breeding and Genetics at the University of Göttingen, Germany, by crossbreeding the Minnesota minipig, the Vietnamese pot-bellied pig, and the German Landrace pig. 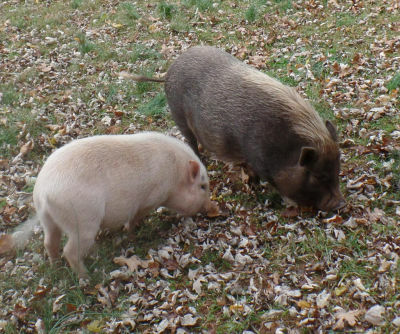 Göttingen minipigs are highly favored as pets, however, the breed was specifically developed for biomedical research. 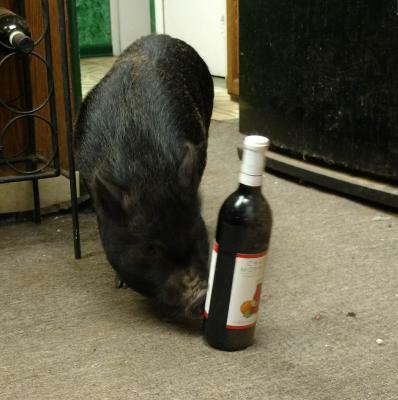 Today, Mini pigs in America are still developing and are somewhat hampered by registries that reflect personality of the registrars rather than selective breeding. Standard Mini Pigs are 35-55 lbs. They are very different from commercial pigs. They have straight tails instead of curly tails and they "wag" their tails when they are happy or interested in something. They have longer, thicker hair than commercial breeds and they have different personalities than commercial pigs. They are quiet and loving with no aggressive tendencies. Because they are dense, they weigh more than a dog of the same size. With consistent and careful breeding, there are now Micro Pigs. These pigs mature at 25-40 lbs when full grown. 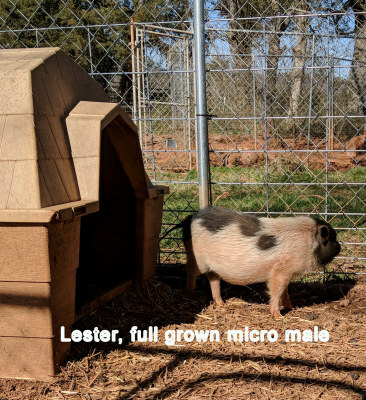 We went to Mississippi to get two Micro females about four years ago but we didn't want to advertise these little guys until we had done enough breedings to know that we could consistently produce micro pigs that would mature and stay small. We are confident that we can consistently produce these "Micro" pigs and would like to make people aware that we are offering them at a reasonable price. Click the button to visit Sally's facebook page. We have Sally, (A Mini) and Sheldon (A Micro) both full grown for you to see on our property as well as their parents and other relatives. Pickles, one of our full grown babies. You get an idea of his size. Another problem is that we are dealing with PIGS. They love to eat. It’s easy to over feed them. If you have a mini, even one that should be small, they can easily become WAY overweight. We don’t mean starve them, but if you want to give them a lot of snacks, use cucumbers or iceburg lettuce, two things with very few calories. 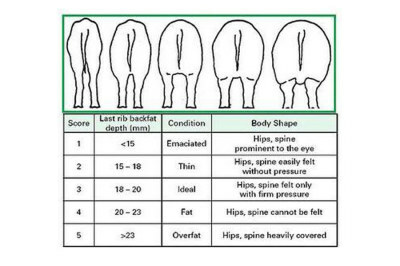 Your pig should look like the MIDDLE picture when seen from behind. This pig should weigh 35-40 lbs but weighs 60 because he has been grazing on good grass for months.